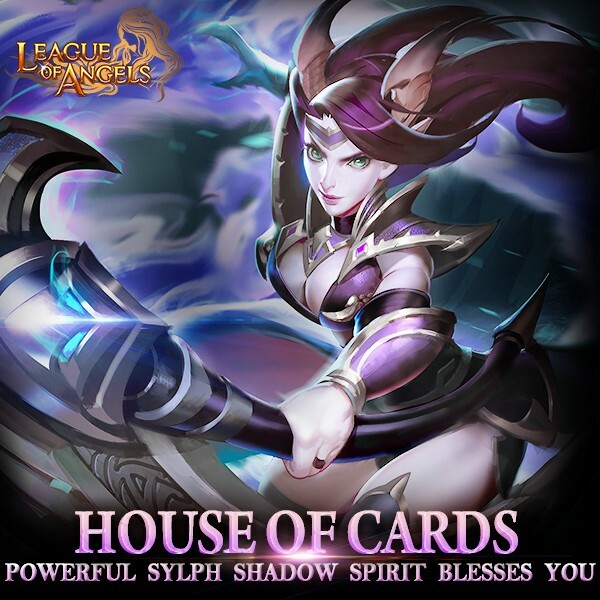 LoA_House of Cards: Powerful Sylph Shadow Spirit Blesses You! - You can swap the required cards for: Shadow Spirit, Moonlight Spirit, Enoch, Valkyrie, Arcane Spirit, Earthshaker, Yasi Delaney, Amazon Hawker, Amazon Hunter,Dragon Empress, Poseidon, Dark Paladin, Ghost Paladin, Headless Horserman, Khaos Core, Purgatory Soul, Lvl. 5 Aeolus Glorystone, Lvl. 5 Brooky Glorystone,Lvl. 5 Flaming Glorystone, Lvl. 5 Shadow Glorystone, Lvl.8 Dodge+Hit Gem, Lvl.8 Crit+Hit Gem,Lvl.12 HP Gem, Lvl.12 MATK Gem, Adv. Wind Soul, Blessed Stone, Elemental scroll, Magic Socketing Rod, and many more! More exciting events are coming up through Nov 11 to Nov 14 (Server Time), check them out in the in-game Hot Events menu now! LoA_Group Buy: Brings You Cute Golden Hamster! LoA_Craft Master: Craft Mythic Divine Stone And More! LoA_Wheel of Luck:Win Accursed Totem And More! LoA_CS Resource Tycoon:Boost Your Party With Heavenly Storm! LoA_Navigation King: Compete for Fiery Bull!